Christopher Evan Welch died on Monday. He was 48. 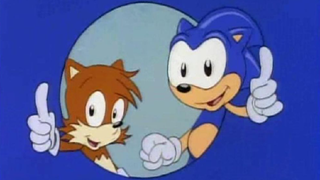 Several reports, including one on this site, erroneously credited him with the role as sidekick Miles "Tails" Prower in the mid-1990s cartoon series Adventures of Sonic the Hedgehog. Welch's agency has said he did not play that role. [Correction 12/05:] The headline of this story and the remainder of the original report have been corrected in light of that error. Welch made his Broadway debut in 1997, and he made his film debut in 2004 with the remake of The Stepford Wives. Welch was known mostly as a character actor with brief but memorable roles, tallying credits in big-name films and television series such as Lincoln, War of the Worlds and also The Sopranos, The Practice and Law & Order, plus its two spin-offs, Criminal Intent and SVU. Playbill, Variety and IMDB credited Welch with the Adventures of Sonic the Hedgehog role. Playbill reported that Welch was filming a role in HBO's upcoming Silicon Valley at the time of his death. The cause of death was not immediately known; he died at a Los Angeles hospital after a short illness.